Sparkle and shine like only you can! 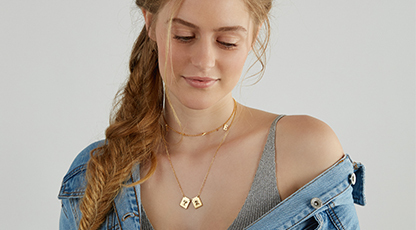 Our Initial Drop Necklace with Cubic Zirconia in Gold Plated is amazing on you, whether you’re enjoying an evening out or if you’re looking for a way to give an otherwise demure daytime top a unique pop of style. 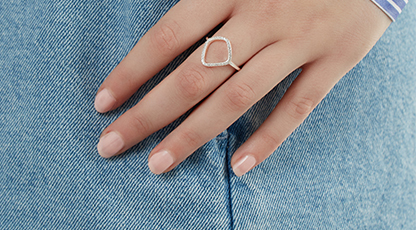 Tiny CZ crystals adorn the elongated drop, adding just the right amount of sparkle. Customize me: Pick a letter, any letter! We suggest using your first initial, but if you have something else in mind, feel free to use it. How to wear it? 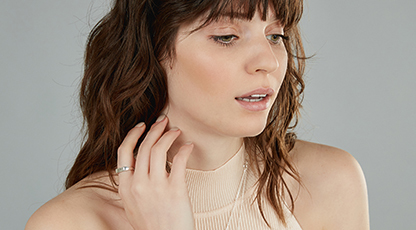 This is one of the most unique pieces in our necklace collection, and it’s stunning whenever you wear it, wherever it goes. It looks incredible with deep V necklines for evening, and during the daytime, it’s a fun way to dress up a turtleneck. 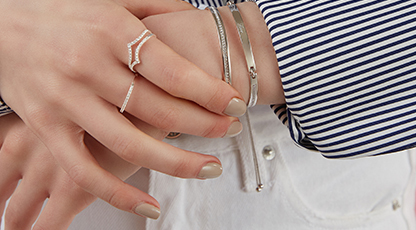 Wear it as a statement piece by itself or with one of our Zirconia rings for added visual impact. For even more necklaces in a similar style, feel free to take a peek at our necklace collection! Whatever you wear, whatever the occasion, we've got you covered. 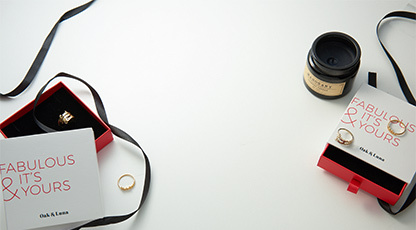 This item is also available in Rose Gold Plating and Silver.